Find answers to frequently asked questions (FAQs) about higher education. Just click on a question below to reveal the answer associated with it. What about entities that provide professional testing (like the Medical College Admissions Test – MCAT) or professional licensing (such as the National Board of Medical Examiners)? These entities are covered under Title III of the ADA if they are private (such as the Law School Admissions Council) or under Title II of the ADA if they are public (such as the Illinois Board of Admissions to the Bar). Does the ADA cover elementary and secondary education? Yes. The Individuals with Disabilities Education Act (IDEA) says students with disabilities are entitled to a free and appropriate public education – known as special education. However, the Americans with Disabilities Act (ADA) and Section 504 of the Rehabilitation Act provide additional rights outside of the special education context. What are some examples of when the ADA and Section 504 would apply? Are the ADA and Section 504 limited to students with disabilities? Does the ADA cover higher education? Yes. Title II of the ADA covers colleges and universities that are public, meaning they are state-owned and -run. 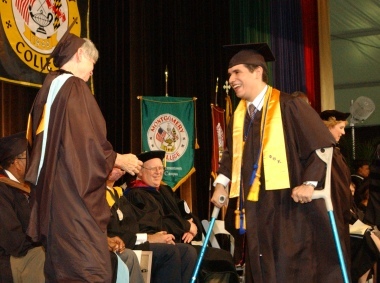 Title III of the ADA covers private colleges and universities. If a higher education institution receives federal money, it would also be covered under Section 504 of the Rehabilitation Act. Do colleges and universities have to make modifications or accommodations for students with disabilities? Yes. Failing to make reasonable modifications in policies, practices or procedures to accommodate a person’s disability-related request is discrimination, unless the school can show that making the changes would cause undue hardship or fundamentally alter the nature of its services. Who enforces education rights under the ADA and Section 504?